Learn how to make ganja butter , mushroom and marijuana tincture. 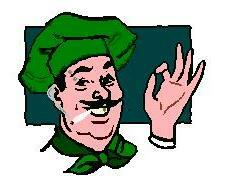 We also have the largest selection of ganja and mushroom recipes on the web!!! Want to share your ganja, mushroom or beer recipe's?? click Here. Need some growing tips? just go to Cat and the Sack. tell him we sent you. Legalities~ You must be 18 years or older to veiw contents of this site.........Tripod does not condone or object to any subject material presented nor do they support the veiws or ideals of this site. Substance cafe and its creators are not responsible for the use or missuse of any of the content posted in this site .We are aware that marijuana and mushrooms are illegal in most countries and are not liable for any information used by citizens of those opposing countries. tripod and substance cafe can NOT be held accountable for your actions. by entering this site you agree to these terms.